The jet stream continues its assault on the upper mountain while we continue to wait in ABC. The weather models indicate that we’ll see an appreciable drop in the winds on 5/17. Enough so, that we are planning our summit attempt for this brief reprieve as winds look like they’ll increase dramatically again on 5/18-19 with lots of precipitation (snow) arriving on its heals around 5/20. Now or never?!? The team is ready and strong, so we ought to be able to make the most of this narrow window. Therefore, we have a couple of more days to pass in base camp before heading to Camp I on 5/15, Camp II on 5/16 and the summit on 5/17. After that, politics and circumstances well beyond our control have us wondering what will happen next. 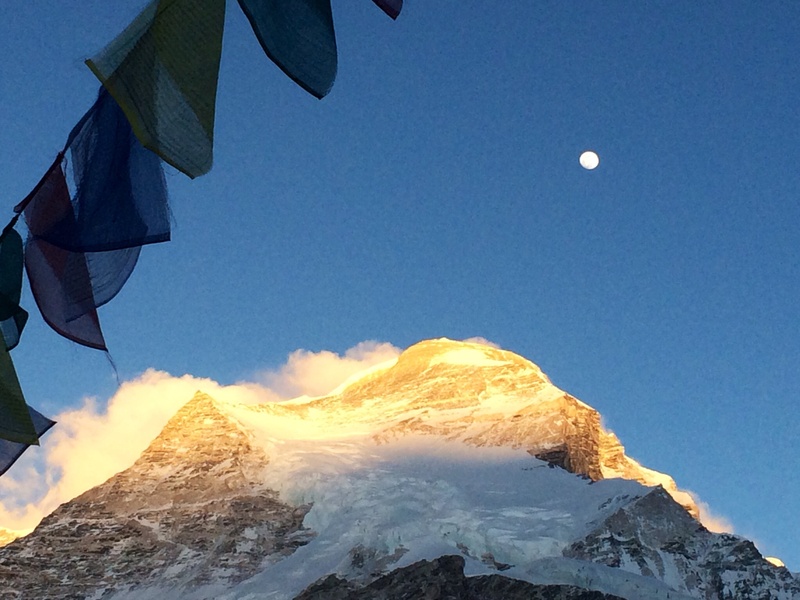 For now, we’ll continue to focus on the world’s 6th highest peak, Cho Oyu, and hope to stand atop the Turquoise Goddess briefly on 5/17. Jim – We will be hoping that the weather window stays open for you all as you make your big push to the top. Be safe! Looking forward to hearing about the success. Not missing much here except a late snow storm that brought us a foot of snow last night! Thanks, Ryan. Looking forward to celebrating a safe return when I get back! Hoping for the weather to be favourable for all of you. Safe climbing!